hahaha, it's like a spider-fractal of doom! 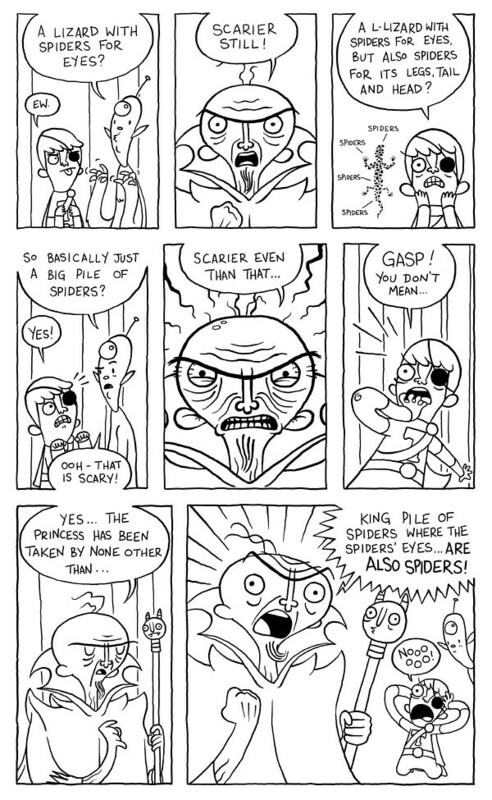 Actually the more spiders the less scary, that's a science fact. See, that's why you failed your degree in spiderology. Uhhhh... new comic... it's like christmas all over again... but with less spiders!